"Irresponsible comments may disrupt the talks." 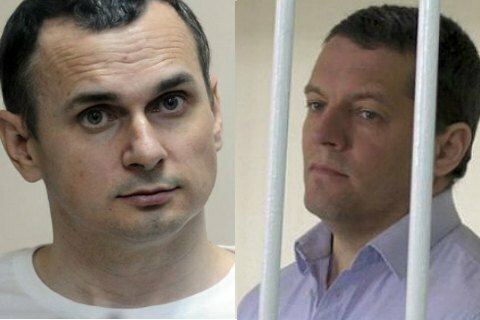 One of Ukraine's negotiators in the Donbas talks and first deputy speaker, Iryna Herashchenko, has denied an earlier statement by ombudsperson Valeriya Lutkovska that journalist Roman Sushchenko and film director Oleh Sentsov, who are held in Russia, can be exchanged for former Ukrainian servicemen who defected to Russia. "The statements concerning citizens O. and B. and our film director and journalist, for the freedom of which we are fighting, are unfortunately not true. I'm forced to deny someone's statements to curb the flow of irresponsible comments on TV," Herashchenko said on Facebook. She criticized Lutkovska's statements as not corresponding to reality and negatively affecting negotiations on exchange. "Any unreliable information may kill a fragile hope, badly hurt the relatives and families of hostages and political prisoners and is very dangerous as far as disrupting of the talks is concerned," he said.